2017-2018 has seen hip-hop continue to go from strength-to-strength. According to Neilson music stats, hip-hop became the most popular genre in the US for the first time ever; Cardi B went to Number 1 of the Billboard Charts (the first female rapper to do so solo since Lauryn Hill); and Lil Wayne finally dropped Tha Carter V.
This period has, however, also seen a string of young hip-hop stars suffer tragic deaths. The Hip-Hop community is, of course, no stranger to violence and tragedy. Perhaps it is simply result of availability bias, but it does seem as if 2017-2018 has been a particularly bad 12 months in this respect. Not since the mid-90s can we remember such a flurry of untimely deaths. 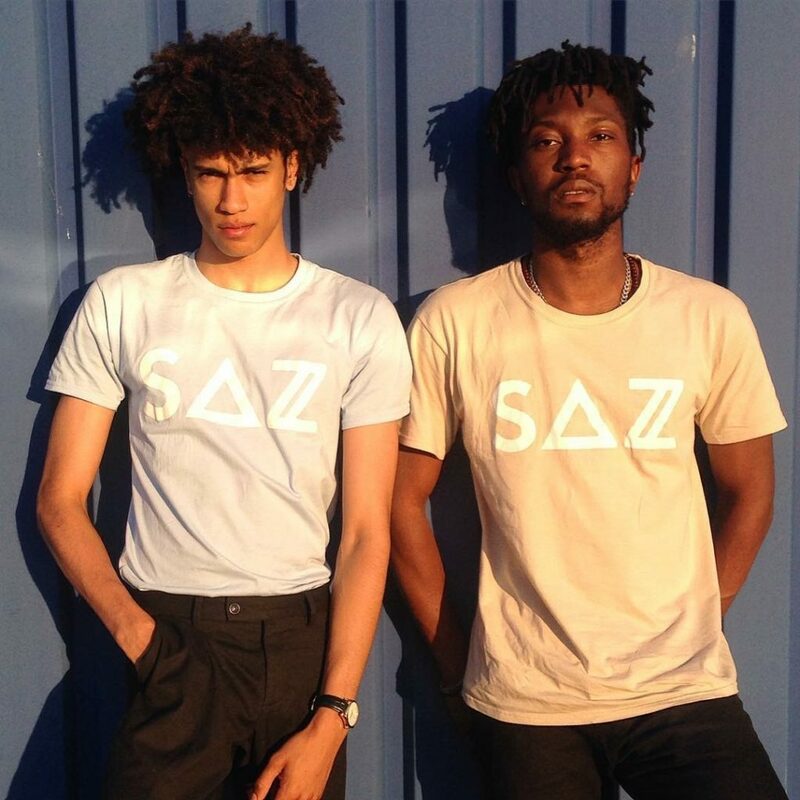 North London duo SAZ play tribute to some of those lost this year in their upcoming EP ‘Dredfull’, which is dedicated to rising hip-hop stars Mac Miller, XXXtenacion, and Lil Peep, alongside rock vocalist Chester Bennington. The EP is not straight-up hip-hop, but rather fuses together an array of genres, from rock to jazz and soul, and the result is a sound that is experimental whilst remaining accessible. There are elements of Foals and Bonobo alongside the hip-hop-influenced productions inspired by the work of the late stars mentioned above. A hint of afro-beat and dancehall influence can also be found, particularly in the rap portions. Indeed, part of its strength as a record is that it will no doubt appeal to both alternative rock and hip-hop fans, which can prove a difficult feat for those with less talent than SAZ. Although the tracks themselves avoid direct mention of death, the whole album has a melancholic edge, reflected both in the subject matter and the overall ambiance. The lyrics deal with themes such as relationship anxieties, depressive states of mind and loss, and are complimented with a low-fi sound that falls more on the ‘sad’ side of ‘chill’. ‘Dredfull’ is evocative, and it is SAZ’s talent for conjuring with impressive authenticity snapshots of mindsets and emotions through music that makes what they are doing very special. ‘Star Shopping’ is an exploration of low self-esteem and failing relationships, and stripped back guitar and heartbeat drum capture the down-trodden, ‘I know that I’m not that important to you […] losing your patience and girl I don’t blame you’ outlook that anyone who has been in such a relationship will recognise. ‘Seven Deadly Sins’, the lead track, is similarly powerful. SAZ’s vocals alternate between irreverent rap and higher-pitched, almost falsetto ‘rap-singing’, swinging from extreme apathy to despair, and mirroring the peaks and troughs of a deep and paralysing depression. The fact that the duo have released such an accomplished EP so early in their careers is a testament to their musical ability, and their upcoming full-length album ‘22 Reasons To Stay’ promises more of their unique brand of cross-genre, emotionally-charged music. And we can’t wait. Check out the EP on release and more from SAZ on the links below.